Oftentimes, some of our most uncomfortable past experiences are so deeply embedded into our psychological makeup that we can sometimes forget that they are even there. Unfortunately, for those who come to realise the barriers and difficulties that can manifest as a direct result of these subconsciously created responses, identifying the therapy appropriate to tackle these root experiences is not only difficult due to the sensitivity around disclosing such experiences; but can often be a challenge without a clear understanding of how these action-response mechanisms function in practice. 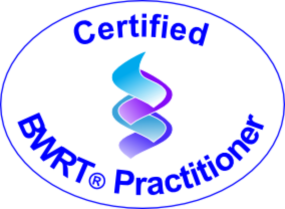 Standing for ‘Brain Working Recursive Therapy’, BWRT® was created in 2011 by the therapist, author and trainer Terence Watts. Following his inspiration of the studies of Virtual Nobel Prize winner Benjamin Libet, Terrence began to develop this therapy, which is now becoming increasingly applied by practitioners worldwide. Unlike previous forms of therapy, BWRT® goes beyond engaging the amygdala and the limbic system and instead delves deeper to tap into what Paul D Maclean (1960) would have referred to as our triune or ‘reptilian’ brain. Forming the most primitive part of the limbic system, this primitive part of the brain is responsible for hard-wiring a range of action-response packages for our everyday unconscious activities. Within an every-day context, whether driving your car to work, brushing your teeth on the left instead of the right, these are all ‘pre-programmed’ and triggered by this primitive part of the brain; enabling you to preserve your conscious bandwidth for the task at hand. However, while these deeply-rooted habits and behaviours triggered by experiences in earlier life may be practical in many scenarios, there are certain deeply rooted phobias and tendencies that many of us would prefer removed. As one example, while social anxiety and the tendency to avoid unfamiliar social scenarios may have been an advantage for minimising risk for our ancient ancestors, many of us would like to reclaim this undermined confidence and ‘’re-wire’ our responses as more assertive. Overall, BWRT® not only delves into the gap between when this part of the brain receives the trigger and when the automated response is initiated, but as a method is also becoming the preferred alternative as its sessions are entirely content-free: this mean that, unlike other forms of therapy, BWRT® is able to be carried out without requiring the patient to disclose the sensitive details of the past experience.